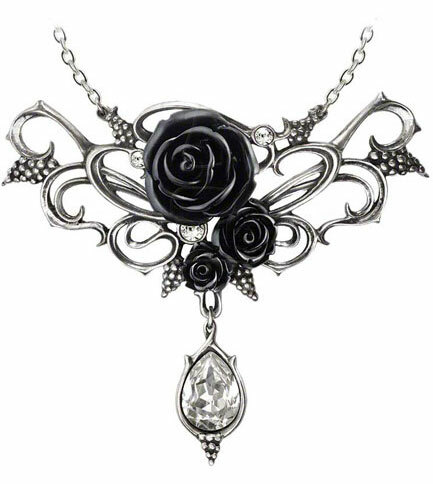 A sumptuous necklace with a romantic motif hiding, or revealing, a secret libertine passion for wine and sensual pleasures. 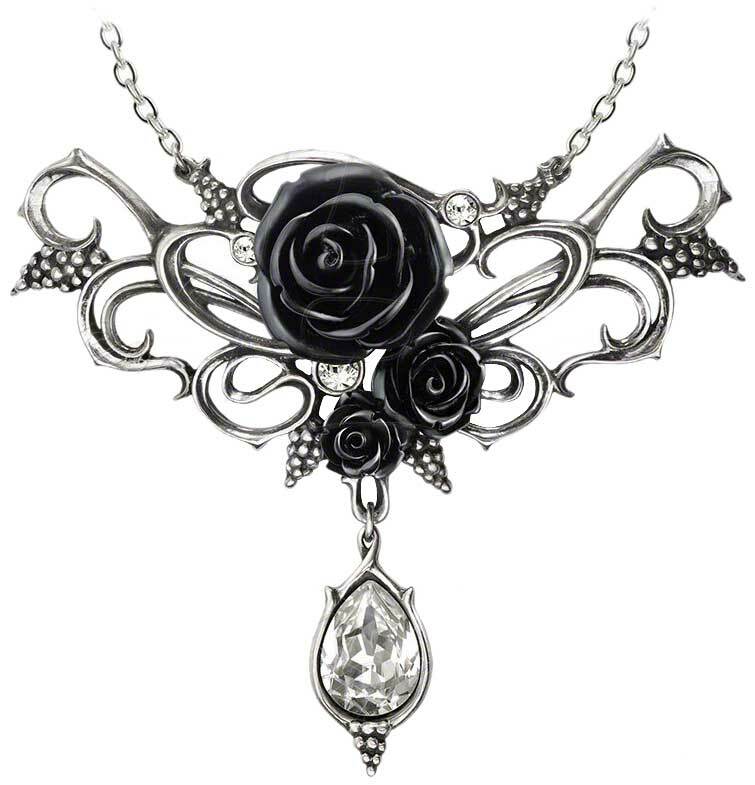 The Bacchanal Rose pendant necklace is beautifully crafted pewter Gothic necklace with Three black roses surrounded by Swarovski crystals. Made in England. By Gothic Alchemy.